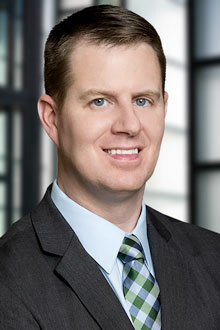 Michael Haggerty is a partner in the Chicago office of Lewis Brisbois and a member of the Medical Malpractice, General Liability, Transportation and Long-Term Care & Elder Law Practices. He has represented hospitals, nurses, doctors, therapists and pharmacists at trial. He has vigorously defended a multitude of corporations and trucking companies that have been sued in general liability and transportation cases. He has also represented various long-term care facilities in medical negligence claims and cases filed pursuant to the Illinois Nursing Home Care Act. Mr. Haggerty is a trial lawyer. He has tried several cases to verdict. He represents his clients from the pre-suit investigation stage through the post-trial appellate stage. He has successfully argued multiple motions for summary judgment in various jurisdictions, and successfully represented his clients at mediation and arbitration. He is also a 24/7 Rapid Response On Call Transportation Attorney. He has represented clients in approximately 15 different counties throughout northern, central and southern Illinois. Mr. Haggerty believes in an ongoing in-depth analysis of each major element in a case from the date of the incident to make a reasoned and rational judgment with respect to the strategy moving forward in a given case. The standard of care or whether or not a duty was breached, proximate cause, damages and credibility all require a separate evaluation. The Illinois Pattern Jury Instructions that a jury will be instructed on in a particular case should also be considered at the beginning of a case. Mr. Haggerty has recently received the recognition of being named an Emerging Lawyer by Leading Lawyers for 2015 and 2016. This award is given to the top 2% of lawyers under 40 years old. In a 2016 trial, Mr. Haggerty represented his pharmacist clients in a medical malpractice trial. The trial spanned approximately 11 weeks, inclusive of pre-trial motions. The trial initially involved nine defendants, six defense firms, approximately 20 medical experts and over 150 motions in limine. At the outset of the trial, Mr. Haggerty successfully argued after extensive oral argument before the trial judge that the learned intermediary doctrine should be applied as a matter of law in this case. The judge agreed and dismissed one of Mr. Haggerty’s clients and dismissed a portion of plaintiff’s case just prior to trial. Mr. Haggerty helped successfully obtain a not guilty verdict for his remaining client in the case. Plaintiff asked the jury for an award of $22.5 Million. During the pretrial stage, Mr. Haggerty successfully argued that any survival claim against his clients should be barred pursuant to the statute of limitations. After multiple briefs and multiple hearings before the judge, the judge agreed, and dismissed the survival claims (which included claimed damages of over $2M in medical bills) and only the wrongful death count remained against the pharmacists. The case was tried with both counts (wrongful death and survival) being applicable to some defendants, and only one count (wrongful death) being applicable to the pharmacists. Accordingly, the pharmacists requested and received multiple limiting instructions during the trial. The underlying facts of this case involved a neurosurgery and post-surgery pain medications. The decedent elected to have a cervical laminectomy and fusion surgery on February 26, 2009. The decedent was not responding to initial pain medication post-surgery, so the treating neurosurgeon ordered 4-6 mg IV of Dilaudid every four hours as needed on February 27, 2009. After being administered a 4 mg dosage two days post-surgery on February 28, 2009, the decedent complained of a loss of feeling below his neck. This transient episode resolved, but Dilaudid was ordered to be discontinued. The nurse receiving the order testified that she properly transmitted the D/C Dilaudid order to the pharmacists to process the order, which would have the effect of updating the medication administration record (MAR) and locking out access to that medication for the patient. The pharmacists argued that they did not receive the order to discontinue Dilaudid, that there was no documentary evidence that the nurse transmitted the order to the pharmacy, and that the nurse made several other mistakes during her shift. The D/C Dilaudid order was not processed in the pharmacy and the patient mistakenly received three additional doses of Dilaudid on March 1, 2009. That night, he suffered a spinal infarct and brain infarcts, and was rendered a quadriplegic. The pharmacists were alleged to be negligent in: (1) the processing of an order for an excessive amount of Dilaudid; and (2) the failure to process an order to discontinue Dilaudid after a transient loss of feeling by the decedent. Plaintiff alleged that the excessive amount of Dilaudid administered to the decedent caused systemic hypotension leading to hypoperfusion and infarcts in the brain and spine which caused quadriplegia, and the decedent’s death approximately four years later. The pharmacists further argued that Dilaudid did not cause the decedent’s infarcts and paralysis, and rather that a post-surgical hematoma, which was not interpreted by the reviewing radiologist, caused the decedent’s spinal infarct, and that an embolism caused the brain infarcts. The pharmacy defendants retained and called as witnesses at trial experts in pharmacology, neurosurgery, neuroradiology, cardiology and nursing. They further argued that the radiologist and the nurses were the sole proximate cause of the decedent’s injuries and death. In another recent trial, Mr. Haggerty successfully defended a hospital (which included separate allegations of malpractice against a surgical resident, a respiratory therapist, a registered nurse, a CNA, and a respiratory therapy manager) in a medical malpractice/wrongful death case. The case involved a plaintiff who was admitted to the hospital with a bowel obstruction and other medical issues. The respiratory therapist, who was treating him with a medicated nebulizer treatment, reportedly left him in an unmonitored room for ten minutes during which time he suffered a heart attack. Although a Code Blue team revived plaintiff, he developed an anoxic brain injury and died three months later. At trial, plaintiff argued that the respiratory therapist was negligent in leaving the room, that the nebulizer treatment caused the heart attack, and that if the therapist had closely monitored plaintiff, he would have been revived sooner thereby preventing his anoxic brain injury and death. Plaintiff argued that the respiratory therapy manger failed to properly train the respiratory therapist. Plaintiff argued that the surgical resident failed to appreciate Plaintiff’s condition, and failed to closely monitor him and transfer him to the ICU. The registered nurse and CNA were granted summary judgment and were dismissed from the lawsuit prior to trial. At trial, we argued that the nebulizer treatment did not cause the heart attack, that plaintiff’s condition prior to the nebulizer treatment did not require transfer to the ICU and that the outcome would have been the same if plaintiff had been in the ICU with a respiratory therapist present, based on statistics of codes of elderly patients with chronic medical problems in a hospital. The trial lasted 3.5 weeks and involved the use of juror questions pursuant to the recently enacted Illinois Supreme Court Rule 243. Plaintiff asked the jury to award $2.8 million. Haggerty, Michael & Craney, James. (September 20, 2013) New Rules for Civil Settlement in Illinois: What Defendants and Insurers Need to Know. Insurance Journal.